A New Jersey state court has decided that tax dollars can be utilized to repair or maintain churches, despite a state constitutional provision barring such use. Superior Court Judge Margaret Goodzeit ruled on Jan. 9 against the Freedom From Religion Foundation's challenge of Morris County's church-funding practices. FFRF and member David Steketee filed suit in late 2015 against Morris County, challenging public grants of tax dollars to repair or maintain churches. FFRF, with Steketee, a taxpayer in Morris County, contested more than $5.5 million in grants to churches since 2012 by the board's Historic Preservation Trust Fund. FFRF specifically challenged $1.04 million in allotments to Presbyterian Church in Morristown to allow "continued use by our congregation for worship services," and allotments to St. Peter's Episcopal Church to ensure "continued safe public access to the church for worship." FFRF contended the grants clearly violate Article I, Paragraph 3 of the New Jersey Constitution that guarantees: "nor shall any person be obliged to pay tithes, taxes, or other rates for building or repairing any church or churches, place or places of worship, or for the maintenance of any minister or ministry, contrary to what he believes to be right." In its opinion, the court recognized "FFRF's mission and its endeavor to promote a healthy separation of church and state. Without organizations like the FFRF, one check that keeps the balance even disappears." Despite this nod to FFRF's important work, the court dropped the ball by holding that Morris County taxpayers can be forced to support churches, says FFRF Legal Fellow Ryan Jayne. Goodzeit created an exception to Article I, Paragraph 3, brushing aside binding precedent because the controlling case involved educational grants rather than historic preservation grants. The court provided what FFRF deemed "scattershot justifications," such as claiming the state has a "long history [since 1990] of making historic preservation grants to active houses of worship." But an illegal practice does not become legal just because it has gone unchallenged for a few decades. The decision even cited a N.J. Supreme Court ruling that allowed the government to rent space to churches. However, as Goodzeit herself pointed out, that case involved no cost to New Jersey taxpayers. Here, taxpayers are funding repairs so that the churches can, in the churches' own words, continue to "worship" and conduct "worship services." Goodzeit also argued that "the extension of a general service to religious groups [does] not constitute sponsorship." But sponsorship is not required for the government to violate New Jersey's no-aid clause. "It's especially disappointing that this ruling came down the same week we will be celebrating the anniversary of Thomas Jefferson's landmark Virginia Statute for Religious Liberty," says FFRF Co-President Annie Laurie Gaylor. "That pioneering legislation provided the template for New Jersey's wise constitutional bar against forcing citizens to support or repair places of worship." FFRF is confident that the New Jersey Court of Appeals will uphold New Jersey taxpayers' right to not be forced to fund religion, churches and worship. 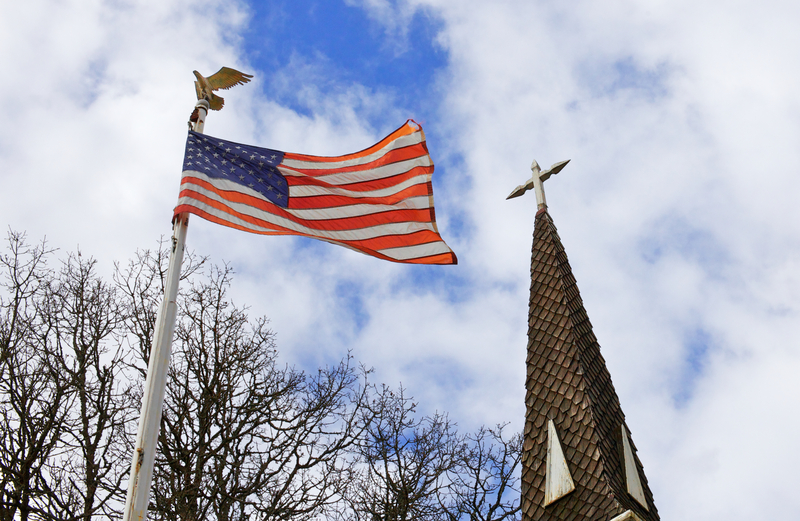 The Freedom From Religion Foundation is a nationwide nonprofit organization dedicated to the constitutional separation of state and church, with more than 26,000 members across the country, including 500-plus in New Jersey. The lawsuit is being handled by attorney Paul S. Grosswald. FFRF Staff Attorney Andrew L. Seidel and Legal Fellow Ryan Jayne are co-counsel. FFRF v. Morris County Board of Chosen Freeholders, Case No. C-12089-15 is in the Chancery division of Somerset County in New Jersey state court.